As soon as I was invited to a wedding this fall, I knew I wanted to make a dress for it. It turns out that I didn’t actually wear this dress to the wedding, but to the rehearsal dinner instead. This is the Kielo Wrap Dress by Named Patterns, made up in an Italian rayon knit from Mood Fabrics. My mother-in-law gave me the materials for my birthday, and I think they pair together perfectly. 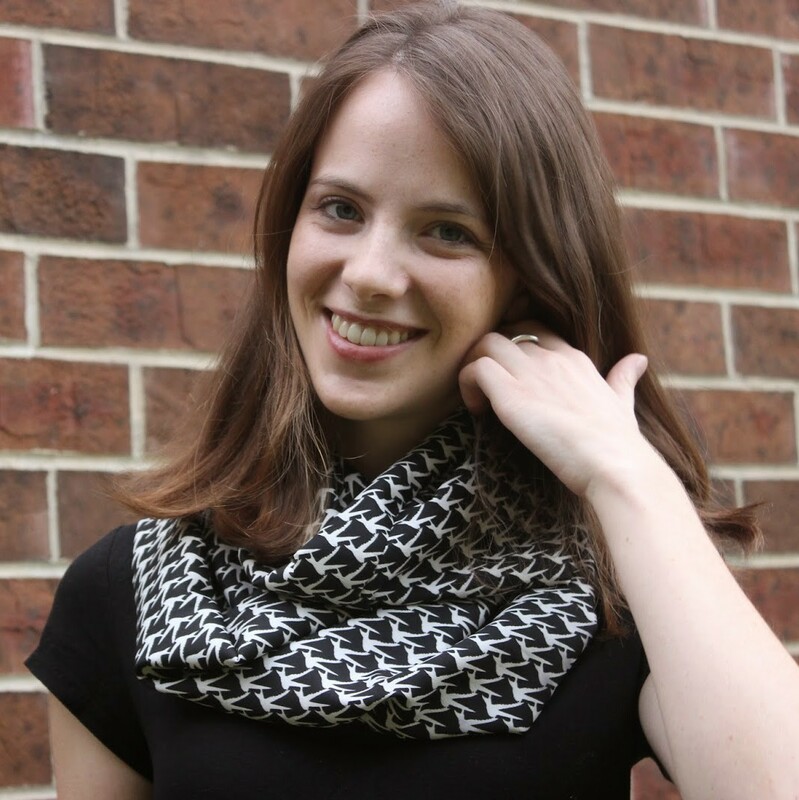 This pattern is incredibly simple, with just 3 pattern pieces: front, back, and ties. Its construction is also incredibly simple. I sewed it up on my sewing machine, and finished the seams on my serger. The only modification that I made was to extend the side seams up an additional inch to make the armsyce a little smaller, as it was a little low originally. This seems to be a pretty common alteration for this pattern. I used self-binding for the neck and armsyce, and finished them with a twin needle. I hemmed the dress without shortening it at all, and it is the perfect length for me to wear with flats. I’m 5’5″, so if you’re tall, you’ll want to lengthen this one! I am a huge fan of this dress. Since it is made from a knit, it is super comfortable, and doesn’t wrinkle when packed. It is also super versatile. It can be wrapped in a number of different ways (here I have wrapped the “wings” to the back and then tied them off-center in the front). The simple design is also incredibly flattering. I also like how this dress can be easily dressed up or down. I wore it to the rehearsal dinner with a pair of sandals and some bangles. It could also work for a more casual dinner out with friends or date night. Friends IRL, I’m sure you’ll be seeing quite a bit of this dress!